All six of our chicks have survived chickhood and are now living outdoors with the hens. I opened up the second coop to provide enough housing for all. The hens and the adolescents do not co-mingle. 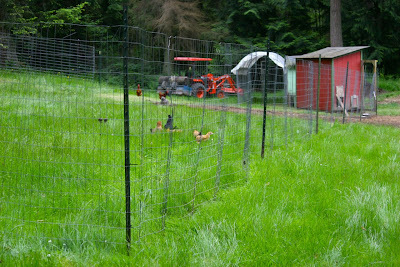 The hens chase the newbies around, pull their feather out, and just outright terrorize them. 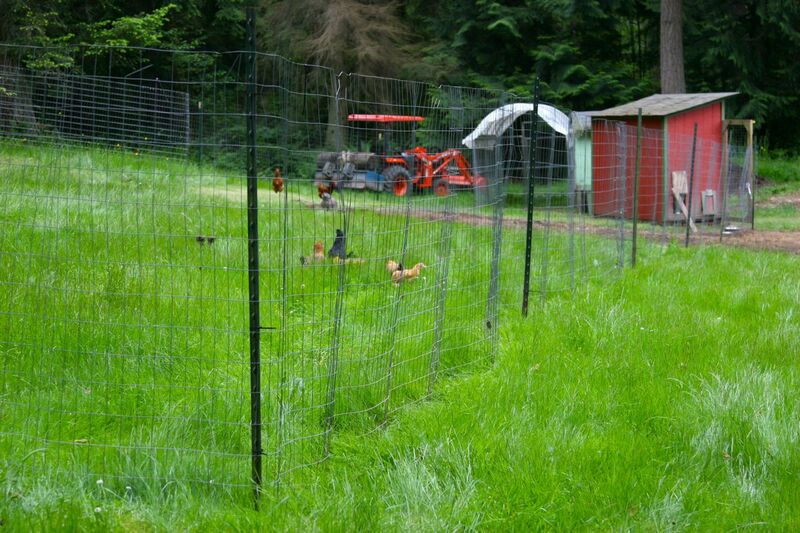 As a result, we decided to expand the free range area to give everyone enough room to roam. 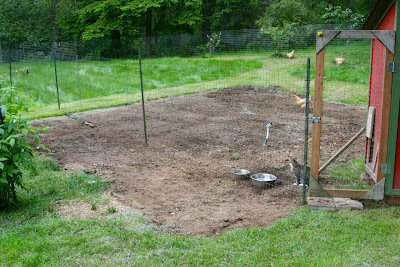 The new birds spend their day in the northwest corner of the yard, and the hens occupy everywhere else, definitely showing their rights to the fiefdom. The original space was the area where the grass has all been eaten. The new space is quite a bit larger. The footprint of the chicken yard is larger than the footprint of our house! We also let our indoor cat have a little free range time in the chicken's yards. He loves to be outside, but wild outdoor smarts . . . not so much. The joys of pecking orders! We moved our 'old girls' out to a new house in a different part of the gardens when our chicks were ready to move outdoors this spring. It never ceases to amaze me how ruthless a couple of bossy hens can be to young pullets. Thankfully, like you, we have room to make everyone happy! 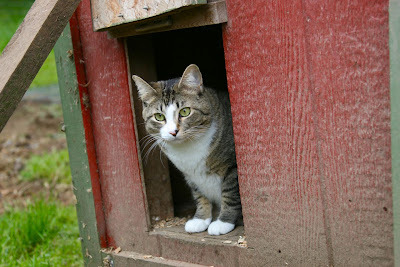 Love the kitty in the hen-house doorway, too cute!